I always appreciate hearing from readers, especially when they challenge me with topics I would normally not have considered. Bitcoins are not something to which I’ve paid serious attention. 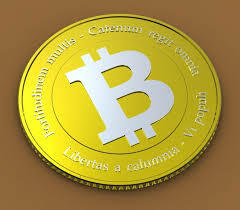 Unlike government-created currencies where a central bank controls the creation of the currency, Bitcoins are uncontrolled or tracked by any government. This allows people to send or receive money across borders freely, with none of the restrictions, tracking, or caps that are normally placed on transactions by governments. A digital money system has an inherent problem common to all money systems. How do you keep the currency, especially one that is entirely digital, from being counterfeited? What stops someone from creating Bitcoins or selling the same Bitcoin multiple times? The solution is a type of open source, public ledger that tracks every Bitcoin transaction from the beginning of Bitcoin time. It makes it virtually impossible to cheat. 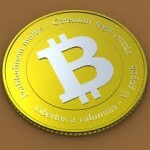 The creation of new Bitcoins is controlled via a process called mining. Only a limited number of new Bitcoins are allowed into the system annually, similar to how the precious metal supply gradually expands annually based on the mining of new metal. The market in trading Bitcoins is probably as “free” as a currency market can get. The price of Bitcoins is based on supply and demand. Since Bitcoin was only created in 2009, it has less than a decade of performance to evaluate, but throughout its short history the price has fluctuated wildly. For example, it reached $31 in July of 2011, then dropped back to $2 by that December. In November of 2013 it hit a high of $1,242. The following month, the price dropped to $600, rebounded, crashed, and eventually stabilized to a range of $650 to $800. The reader who asked me about Bitcoin was certainly right about its impressive 2017 year-to-date performance. On January 1, 2017, a Bitcoin sold for $496.90. As of August 19 it closed at $4,109.10, nearly a ten-fold increase in just eight months. While I like the libertarian freedom of the idea of a currency uncontrolled by government intervention, I don’t consider owning such a currency an investment. I do consider buying or selling digital currencies like Bitcoin a speculation. Like other speculative investments, these do not belong in any retirement portfolio.